Last year in December, Karlstainable participated in a so-called Wandercoaching, a week-end workshop provided by the “Netzwerk-N” for improving the project work of student initiatives concerned with sustainability. It was a both joyful and very productive workshop! We got to know a number of very useful tools and methods, allowing us to first dream the mountain of visions and in the next step formulate concrete goals we want to achieve during this semester and in the future. We got to know more on the topic of sustainability in general, but also what it means for us individually and in how far we as an initiative and university as a whole can contribute to it. In addittion to that, we had a lot of fun and spending this weekend together really brought us closer and gave us the opportunity to learn more about each other, especially each other’s strengths and unique characteristics. We consider our initiative to be part of a generation that is responsible to find solutions for global challenges such as climate change, scarcity of resources and the increasing gap between rich and poor and that is the first one with the capability to do so, considering digitalisation and responsible innovation. We believe that universities play an exceptionally important role when it comes to finding these solutions as they are places of education, research and socialization. Those who are studying today are those shaping our society tomorrow and thus should be prepared to do this job in a responsible way: in their role as employers or employees, but even more in their role as citizens and mature members of society. Moreover, universities must be understood in their position as relevant actors embedded in the cities and communities they are located in. For these reasons we believe that sustainability is the basic principle that universities should be built on – in its ecological, social and economic dimensions. Based on the “Positions- und Forderungspapier Nachhaltigkeit und Ethik an Hochschulen” published by the “Initiative für Nachhaltigkeit und Ethik an Hochschulen” (see attachment), our definition of sustainable development includes global and intergenerational justice, equal opportunities for everyone, preservation of biodiversity and ecosystems, climate protection, responsible consumption, resource-efficient and circular production as well as fair labour and trade conditions. We see sustainable development as an ongoing dynamic process between society and economy, science and politics. 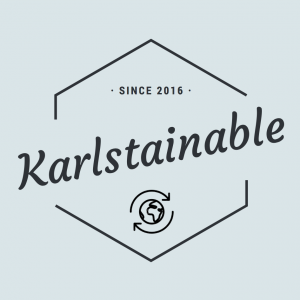 Karlstainable encourages students to ask themselves what kind of world they want to live in, to formulate their visions in a constructive way and to ultimately take action. In this process, we provide the organizational structure to support and channel the students’ individual engagement. We believe that change can only be achieved together and thus we also function as a platform for ideas, knowledge and mutual inspiration to connect as many students as possible. We abstain from any form of competition and are convinced that joint action and cooperation with all the other actors inside and outside Karlshochschule are the only way to be successful. Karlshochschule is a university that proudly stands for innovation, continuous improvement and commitment to its social responsibility. We are convinced that – together with the awareness of the most urgent challenges of our time – this approach must necessarily lead to the acknowledgment of sustainable development as the essential paradigm of a modern university. We consider it the responsibility and duty of Karlshochschule to implement the principle of sustainability as a major column of teaching, research, administration and everyday university life. Therefore, we claim an open confession to sustainable development in its guiding principles (Leitbild) in order to enable all actors at the university to work towards this aim on the base of a commonly acknowledged consensus. All university actors must take part in the subsequent transformation processes but especially the student body plays a major role. Students can be the main drivers of change, but for this a systematic strengthening and structural embedding of student engagement is an essential requirement. We claim that the university provides the necessary infrastructure (financial, temporal, spatial) to enable and support long-term, self-organized engagement. This also includes information-, communication-, cooperation- and decision-making processes that are transparent for everyone. In order to work together effectively, we claim mutual honesty and notification about all relevant developments among all actors involved. Karlstainable bases its work on the principles of tolerance, respect, discussion, openness, honesty, non-discrimination and teamwork. We welcome everybody who wants to make a change and try to actively encourage students from all study programs and semesters to join us. Transparency and openness are essential values to the way we work, as we believe that enduring impact can only be guaranteed through constant self-reflection and the dialogue with both our critics and supporters. Therefore, we oblige ourselves to regularly and openly inform the university community about our work and ongoing projects and to always publicly announce time and place of events and regular and irregular meetings. As stated above, we work in constant collaboration with other actors, first of all with the other initiatives of Karlshochschule. This primarily means that events are realised together and that the exchange of skills and work force is – in mutual interest – made as easy as possible. Such collective action has the power to release formerly unknown potentials and create a co-learning community where everybody can benefit from each other’s knowledge and experiences. Furthermore, we see ourselves as part of a broader regional, national and international student community. 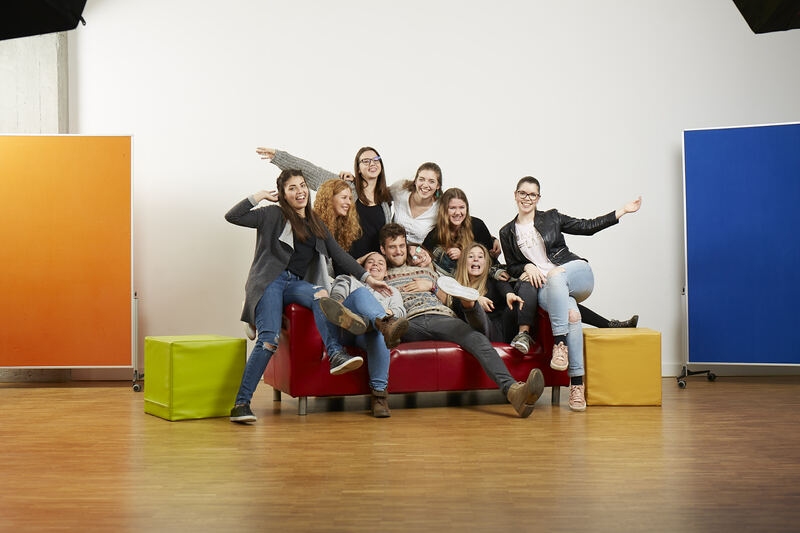 For this reason, it is important for us to connect with other student initiatives inside and outside of Karlsruhe. We are a member of netzwerk-n, a national platform for student initiatives focused on sustainability and identify with its current aims and goals. This network bundles the work of initiatives all over Germany. Thus, it is a pool for mutual help and inspiration that gives its members the possibility to learn from each other’s successes, failures and the yearlong experience of the diverse groups it unites. Our efforts do not end at the doorstep of Karlshochschule. We consider it a major concern of our initiative to motivate all students to recognise their role as political beings and citizens of a vital democracy. Be it in protests, summits, campaigns, conferences or any other form of involvement, we believe that future academics may not isolate themselves from what is happening around them right now. If we want to be an authentic sustainability initiative, we must measure the impact of our efforts not only by looking at the outcomes but also by looking at the way we reached them. All methods ultimately apply the values that we stand for as an initiative and we constantly reflect on our work in a critical way. Our structure facilitates and supports the work of future Karlstainable generations by documenting the knowledge we gather, important experiences, our successes/failures and the methods we employed. All members are equally involved in decision making processes right from the start, encouraged to take responsibility and invited to get to know the different tasks in order to be prepared to run the initiative. The internal structure of Karlstainable is characterised by a flat hierarchy, which means that tasks are equally divided among the members. This is ensured by the assignment of certain roles within the initiative which include the fulfilment of predefined tasks and can also be occupied by more than one person. Every generation can independently reflect on these roles and whether they have to be adjusted to match current needs. To be able to work towards several goals simultaneously, Karlstainable also works in project groups that are coordinated by one or two responsible persons per project. 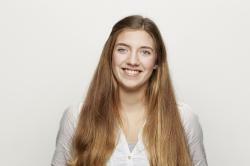 They can organise additional meetings and seek their counterparts (e.g. in the administration) independently. They regularly inform the other members about their progress and are dependent on mutual agreement for final decisions. Meetings are held once a week during the semester and organised in a circular mode by one or two members. Decisions are primarily made in a democratic way that is based on the assumption of mutual agreement and only further discussed if there are any objections (systemic consensing). Overall aim is to create a consensus among all members rather than making decisions by majority. Official communication channel of Karlstainable is the platform-n.
All important information (e.g. contacts, methods, current and former roles with assigned tasks, project ideas and plans, project documentation, possible financial supporters etc.) is collected on the platform-n as well as physically in a structured folder to make it easily accessible to all members in the present and future. An overview for new members is given in form of a briefing paper giving the most relevant information.